June 8 2016 - Ilana Navaa was one of four victims of the terrorist attack that took place at the Sarona Market complex in Tel Aviv. 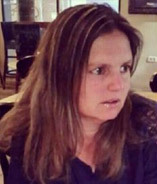 Ilana Neve, 39, of Tel Aviv, was celebrating her birthday at the restaurant where the terrorist attack took place. She is survived by her husband Alon, four daughters and her parents.